The School of Geosciences and the Geocoastal Research Group has had their IHS Kingdom Education subscription renewed for another 3 years. https://www.ihs.com/products/kingdom-seismic-geological-interpretation-software.html. 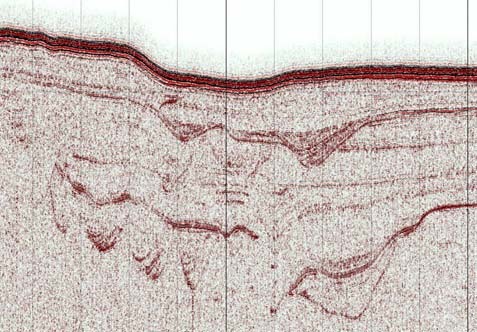 A high resolution Topas seismic reflection profile visualized in IHS Kingdom showing a cross section through the upper slope of the central Great Barrier Reef. Note the complex system of stacked subsurface channels. This great news as the School has been using this powerful seismic interpretation software over the last 5 years for a range of research projects. The school now has 5 standalone licenses and 15 network licenses for School-related educational and research purposes. See Assoc. Professor Jody Webster you are interested in using the software.